In The Distancers, seven generations worth of joy and heartache is artfully forged into a family portrait that is at once universally American yet singularly Lee Sandlin's own. From the nineteenth century German immigrants who settled on a small Midwestern farm, to the proud and upright aunts and uncles with whom Sandlin spent the summers of his youth, a whole history of quiet ambition and stoic pride—of successes, failures, and above all endurance—leaps off the page in a sweeping American family epic. 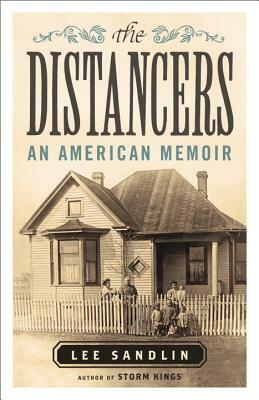 Touching on The Great Depression, WWII, and the American immigrant experience, The Distancers is a beautiful and stark Midwestern drama, about a time and place long since vanished, where the author learned the value of family and the art of keeping one's distance. Lee Sandlin is the author of Wicked River, Storm Kings, and The Distancers. He was also an award-winning journalist, essayist, and book reviewer for The Wall Street Journal. Born in Wildwood, Illinois, he grew up in the suburbs of Chicago. He died in 2014.